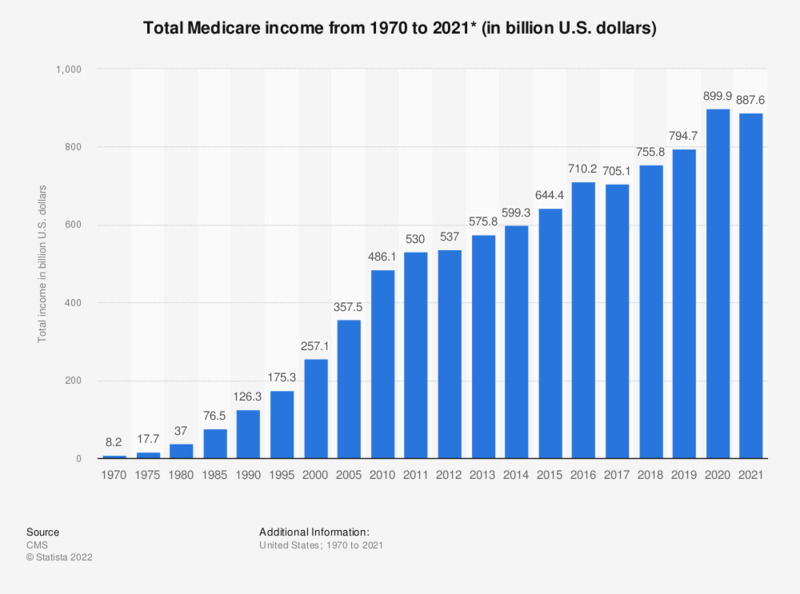 This statistic depicts total Medicare income from 1970 to 2017. In 1970, the Medicare program generated a total income of some 7.5 billion U.S. dollars. Forty years later, this figure stood at some 500 billion U.S. dollars. ** Reflects the adjustment made by Treasury in November of 2014 to account for $2.6 billion in Part B drug fee income in September of 2013, rather than in October of 2013 when it was actually received.